Sophy is a 20-year old girl who has had an eccentric upbringing, being raised by her father in various locations and settings. When he heads to Brazil for a few months, she is left in the care of her aunt in England, whom she barely knows. She immediately makes waves with her arrival, bringing a dog, a monkey and a parrot with her to entertain her many cousins. Sophy realizes that the quiet household she has come to needs to be shaken up. Her cousin Cece is in love with a dreamy poet who is NOT the right man for her. She sees her serious cousin Charles headed into a loveless, but respectable and practical marriage. And she senses that Hubert is hiding something from everyone. Using a keen wit and charm, unforgettable Sophy uses her unorthodox methods to set it all right, and finds unsuspecting love along the way. The delicious reads overall rating for this book was a 3.75 stars. Although the book was slow at first, we all agreed that once Sophy entered the scene the pace and humor really picked up. This was a fun and entertaining read. The discussion began with us learning more about the author and her writing. Heyer (1910-1970) wrote over 30 novels most of which were placed in the regency time period, she is known for essentially establishing the historical romance and regency genre. 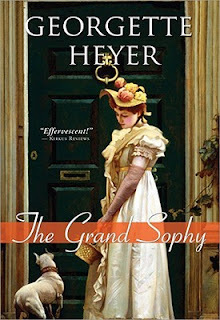 Heyer's regencies were inspired by Jane Austen, but unlike Austen who was writing about and for the people of that time, Heyer's books needed to be very well researched and including copious amounts of details for her more contemporary readers to fully understand the time and setting. 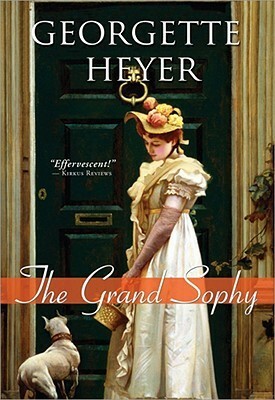 Among all the details Heyer was also able to slip in various contemporary (not only the regency era but for Heyer's time as well) issues such as cross dressing, fashion, can't language, and woman acting in untraditional roles. 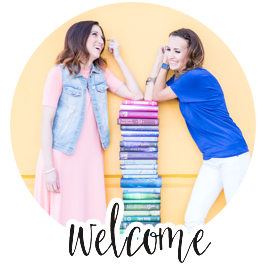 In The Grand Sophy the character of Sophia Stanton-Lacey brings life and color into her (and the readers) world, by being one of these women who push the norms for the rolls of women and addressing her problems in a more contemporary way. "Sophy would never be a beauty. She was by far too tall; nose and mouth were both to large, and a pair of expressive grey eyes could scarily be held to atone entirely for these defects. Only you could not forget Sophy even though you could not recall the shape of her face, or the color of her eyes." While Sophy wasn't considered the most beautiful her influence and passion were unforgettable, making her more believable and lovable to her female readers. As we discussed her character we started referring to Sophy as the "little hurricane that blew through but left things better". Karin mentioned that she thought the genius of the book was that we were able to put ourselves into the scenes and we just couldn't wait to see the various reactions to Sophy's antics. While Mandi mentioned the only aspect of Sophy that seemed unbelievable was that she never suffered any negative consequences from all her meddling. We all agreed, that while it is totally unrealistic to get away with being so involved without making one mistake, Sophy's ability to read those around her so acutely, helped the idea of all of her schemes working out the way the did, seem more plausible. There were also many similarities, between the character Charles and Mr Darcy that we discussed. At first both seem grim, judgmental, and cold, but with their growing attraction to women that are intellectual their equals, softer sides begin to emerge and the reader (as well as the heroines) slowly fall in love with them. Both Charles and Mr. Darcy are intrigued with a woman who can battle them with wit and who are brave and forward enough to stand up for themselves and those around them. Overall we thoroughly enjoyed this book and we were all left motivated to add more color, strength, and gumption to our own lives as well.